Bridger Insurance, your local insurance agency will help you find the right policy for You. Chris Harrison established Bridger Insurance Agency in 2005 after spending 3 years with Allstate Insurance Company as an exclusive Agent. At Bridger Insurance Agency, we specialize in personal, umbrella, auto, home and life insurance. Bridger Insurance Agency is an “independent agency” which means we can offer you the right local insurance product at a competitive price instead of confining you to one company.With Bridger Insurance Agency, you can be assured that we represent the top companies to provide the best coverage at the most competitive price for your auto, home and life insurance needs.A Montana native, Chris graduated from Belgrade Highschool. He then went on to play college baseball at Mayville State University before graduating from MSU in Bozeman with a degree in Health Enhancement. Chris was a teacher and coach in Arizona for a few years before beginning his career in Bozeman, MT as an insurance agent. 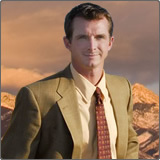 Chris has lived in the Gallatin Valley for over 20 years and is an active member in the community. Through college and beyond, Chris has spent countless hours coaching baseball as part of the Bozeman Bucks and Big Sky Baseball programs. Make a payment, make a claim or get a free quote today.